Every Regina alumna is a member of the Regina Alumnae Association. Graduation is the beginning of a lifelong relationship. There are many ways to keep your memories alive and stay involved, no matter where you live! 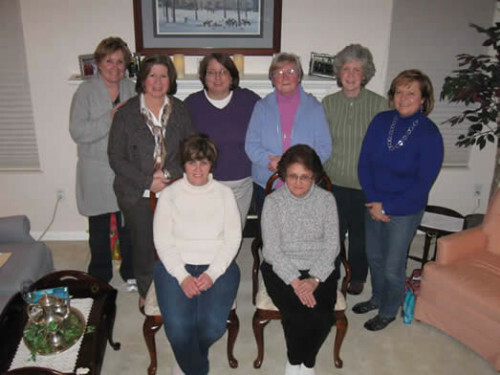 Alumnae Association meetings are open to all alumnae. Our Mission: Women given the opportunity to Learn, Serve, and Lead at Regina High School are now part of her legacy. The purpose of Regina High School Alumnae Association is to continue the mission of Regina High School in their lives. The Association will serve as an information resource to strengthen alumnae ties. It will challenge members to live out the Regina legacy through prayer, service, community involvement and a special commitment to the Catholic education of young women.